Four African-Americans sought admission to the Georgia State College on July 6, 1957 through a federal court action. The university denied them entrance in an attempt to uphold the standard of segregation. The Signal’s editorial board of 1957 declared to” fight until doomsday with legal weapons” to maintain segregation in public schools, and they sought to inspire all Georgians to unite behind this cause. “You will find no haven at Georgia State,” The Georgia State Signal’s editorial stated. Four years later, Annette Lucille Hall began her first class at the university on June 13, 1962, at the age of 53, as the first African-American to attend Georgia State. “I remember that [Hall’s] niece stated that even though she did come and there [were] no instances [of violence or retaliation], she didn’t feel welcome,” Lisa Shannon, an African-American Studies professor, said. Shannon has received three degrees from Georgia State, and she began her journey at the university in 1987 as a student. She said she changed her major to African-American Studies almost immediately after seeing Dr. Akinyele Umoja, now the African-American Studies department chair, speak on campus in 1998. She recalled that was the first time she saw a professor on campus that looked like her. It’s been nearly 62 years after the pro-segregation editorial was published, and now in 2018, Georgia State is leading the U.S. in black graduates and is one of the most diverse universities in the nation, according to The New York Times. 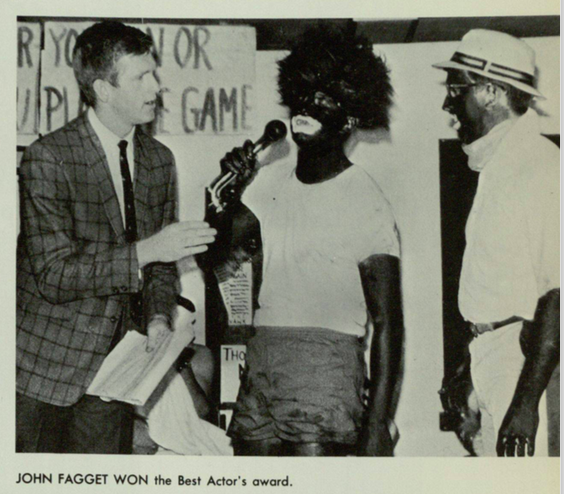 A published letter written to Georgia State University President Emeritus Carl V. Patton on July 23, 1992, called for “sensitivity and support” in response to a photograph of fraternity members of Pi Kappa Alpha in blackface and curly wigs that surfaced in the University Center. “Although the photograph was removed promptly, its message of careless disregard for African-Americans was viewed by many individuals, including incoming freshmen, transfer and transient students,” Lawrence Philpott, Black Student Alliance (BSA) president, said in 1992. He wrote that he expected a written apology to be published in The Signal by the Pi Kappa Alpha fraternity, as well as sanctions — as a punitive measure — that suspended their rights as a student organization on campus. Patton later suggested that the fraternity close their doors until “things cool down,” and he implemented a university hotline to handle discrimination complaints. “This type of insensitivity has absolutely no place within the Georgia State University community,” Lawrence said. “We want a coalition of oppressed students trying to rid the university of racism, sexism and homophobia,” Felix Brown, a student organizer, said in 1992. According to “Concerned Students” organizers, their work was aimed at helping all Georgia State students, not just black students. During the press conference the organizers said insensitivity is a problem that white students have, not black students. At this dialogue, the implementation of the African-American Studies department was discussed. “Where I came in  as a transfer from two other institutions, I feel a place that has changed but has changed because people, students have addressed issues. The change that has occured didn’t just happen, but starting when the protests of the student, the sit-ins, from  until now,” Shannon said. She believed then and now that students determine what needs to be done for them. In January of 2004, Pi Kappa Alpha held a “hip-hop theme party” titled “Straight Outta Compton,” where members of the mostly white fraternity showed up to represent every “hip-hop” stereotype. BSA retaliated with a flier that used the fraternity’s name on a picture depicting a Ku Klux Klansman and a man in blackface with a noose around his neck. Both organizations were temporarily suspended until they reached an agreement on Aug. 19, 2004. “Pikes will incorporate diversity and sensitivity awareness into their pledge training program so that something in poor taste like the black face matter will not occur in the future,” the agreement stated. BSA accepted the proposal of the Pikes and agreed that they should be placed back on campus immediately and conditionally with full implementation of their charter and ability to carry on their organization’s activities normally. Shannon said that people think it takes a lot to make a difference, but in reality it only takes five to ten percent of a population to demand change and see results. “As of the fall semester of 2018, according to IPORT, a Georgia State database, 64.7 percent of faculty members are white,” The Signal reported in an article earlier this month. Shannon said the perspective of a decision maker must equal the perspective of the students in order to truly be an egalitarian society—or university. “What I hear is, ‘Can I get professors that look like me?’’ and I say, ‘Well what are you gonna do about it?’” Shannon said. Shannon described diversity as an issue that keeps growing and getting more inclusive as time goes on. Shannon concluded with a quote from Frantz Fanon, with hope that this generation’s students will find their calling.